Whether looking to plan an athletic competition, or your more into hunting and fishing, or you just want to camp along the mighty Missouri, South Sioux City will oblige. Go for the gold in Lincoln. Like you, Lincoln is always up for a challenge. Here, the city has been known to host events across the spectrum. From baseball to bowling and jogging to juggling, Lincoln is the prime location to host your next sporting event. If you’re looking to draw people from across the country to your event, Midwest really is the best. Centrally located, we invite people from each coast, north and south to meet ­­­in the middle. We’re less than a day’s drive from key Midwestern cities like Denver, Omaha, Minneapolis, Des Moines, Kansas City, St. Louis and Chicago, hurrah! Not to mention our airport connects to several locations across the U.S. — now that’s something to cheer for. The Columbus/Platte County Convention and Visitors Bureau invites you to discover Columbus and the Platte County area. Columbus prides itself on fine hospitality, facilities and services. We have 10 hotel/motels offering a total of 610 guestrooms. 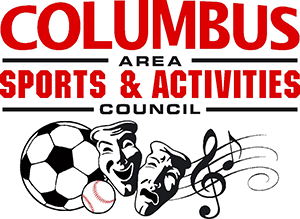 Columbus is vibrant with many leisure activities to suit all ages including shopping in specialty shops, antique stores and malls, a variety of dining options, golfing, relaxing and playing at our recreational facilities, and much more. You’ll find great facilities that host sporting tournaments, car and motorcycle shows, craft shows, horse shows, golf and horseshoe tournaments, the Platte County Fair, Columbus Days, live thoroughbred horse racing, conventions, meetings and other events. If you can kick it, throw it, shoot it, hit it or ride it…we can host it! Whether you take one of our daily flights to/from Denver or drive in on Interstate 80, Kearney is where you want to be! Kearney is the perfect location for your next event and when it comes to sports…Kearney has so much to offer. You get the advantages of big city venues without the big city price! We have fantastic venues including facilities equipped for wrestling, hockey, BMX, soccer, basketball, golf, drag racing, equestrian and much, much more! 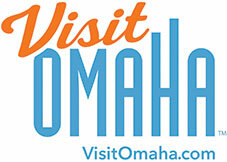 Home to the NCAA Men’s College World Series since 1950, Omaha is a bucket-list destination for college baseball fans. Omaha’s resume is filled with impressive sporting events, including the U.S. Senior Open; NCAA Basketball, Volleyball and Wrestling Championships; U.S. Speed Skating; FIVB and NORCECA Women’s International Volleyball; the National Veterans Wheelchair games; and the U.S. Olympic Swim Trials (4X). Olympic coaches and swimmers praise Omaha, saying the “convenience factor is unparalleled,” and that the city makes athletes and fans “feel welcome and important.” The total experience is what solidified the Swim Trials returning to Omaha in 2020. There’s a reason Omaha is a player. The city is centrally located, making travel easy. Omaha has a strong volunteer base, and sporting events enjoy tremendous support from the local community. Omaha provides a unified team approach to events making it easier for event planners to do their job. Situated between Omaha and Lincoln, Sarpy County offers a wide array of sports venues to host your next event. From a 50,000 square foot indoor volleyball facility to Werner Park, home of the Triple-A Omaha Storm Chasers, providing a unique baseball experience for both players and fans alike. Sarpy County is equipped to handle any sports related request. Located within a relatively short drive from metropolitan communities such as Omaha and Lincoln, Fremont is ideally located for short weekend and getaway vacations. Fremont boasts a number of water-related activities, such as Fremont State Lakes, Bryson’s Airboat Tours and Splash Station Water Park. Spend the day in eastern Nebraska’s county for unique shopping, delicious dining and friendly service. You’ll have a wonderful time exploring eclectic shops, eating at our unique restaurants and sightseeing within our unique communities – in Dodge County! Created in 2003, the Omaha Sports Coalition is a not-for-profit entity dedicated to making Omaha one of the premier sports communities in the United States. 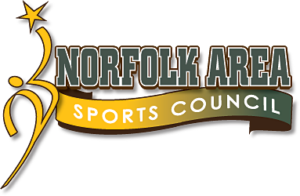 The Commission works closely with area businesses and community leaders to help recruit and promote amateur sporting events. The OSC is a “total service event team”, meaning that it is involved in all aspects of event management from bid selection and preparation to Event Hosting and Event Enhancement to post-event evaluation.